Wave bench sculptural outdoor seating. 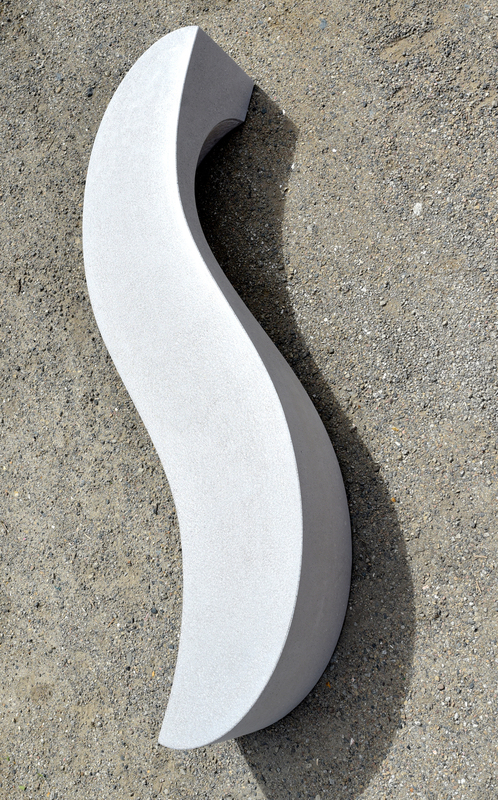 Ben Barrell creates fluid, elegant sculptures that invite human interaction. The natural progression is to create sculptural seating, the first iteration of which is the successful Pebble Seat range. It has been very well-received and continues to be specified in high-end landscape schemes and gardens. The popularity and success of the highly polished concrete seating means that the default material for Barrell Public Seating is Cornish granite aggregate concrete. Ben’s concrete is of a very specific mix which supports the requirements of intense layers of polishing to create the almost mirror shine. Over the next little while we will be introducing two new seats which Ben has designed to work with the Pebble Seats or alone. We are also extending the range of materials in which we offer all the Public Seating, including Pebble Seats. See each product page for options.